More people are taking out loans with credit unions, while there has been a rise in the amount of money saved with the member-owned institutions. The rise in lending comes after loan books shrunk during the worst of the downturn. Lending is seen as a key measure of the financial health of the sector, as loans are the main offering of credit unions. There was a rise of €216m to €3.76bn in the value of loans issued to members in the past year. Lending has now risen in the majority of credit unions in five of the last six quarters, according to the Irish League of Credit Unions, the main representative body for the sector. Some 192 credit unions saw their loan books increase. There are now 281 credit unions in the Republic affiliated to the league, down from 375 in 2013. This follows a spate of mergers. The amount of money saved in these institutions has shot up to €12bn, figures for the year up to September show. 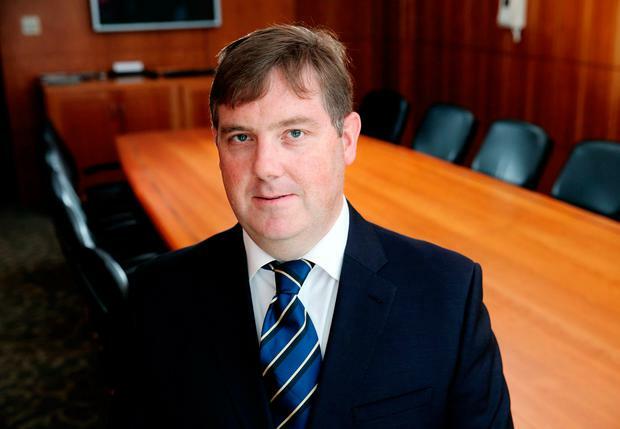 Chief executive of the league Ed Farrell said more loans were being issued due to stronger demand, more marketing, and an easing of Central Bank-imposed lending restrictions. Most loans are for home improvements, with lending also for cars and education. The average loan size has risen slightly to €6,300. The member credit unions of the league also saw their assets grow by €1bn last year to €14.4bn. Mr Farrell said league credit unions collectively have €888m more in reserves than they are required to hold by regulators. Just two credit unions that are members of the league have reserves below the 10pc required by the Central Bank. These two are understood to be in Munster. Both are set to be merged, and financially supported by the league's rescue fund, the Savings Protection Scheme, to bring their reserves up to required levels. Arrears on loans have fallen to €329m, but when savings pledged against these loans are included the net arrears figure is €250m. Mr Farrell denied there were any more rogue credit unions like Rush, the north County Dublin lender that was wound up by order of the High Court. "There are no more like Rush. The Central Bank has clarified that. There is no other credit union about to wind-up due to irregular behaviour," he said. The league is pushing ahead with plans for credit unions to offer members mortgages. A pilot study involving 40 to 50 of the biggest credit unions is set to roll out next year. The plan is to have a central body that would assess applicants, underwrite the loans and service the mortgages. The mortgages would be held on the balance sheets of individual credit unions. The new arrangement would have to be approved by the Central Bank. Credit unions are also looking at developing a similar model for lending to small and medium-sized businesses, with a link-up with the Strategic Investment likely. Mr Farrell said discussions were on-going with the Housing Department about credit unions lending some of the €10bn they have in assets. Mr Farrell said an initial €1bn could be lent for social housing projects.